Novel: Bud Not Buddy Character Clouds. Students will come up with 20 Character traits for each character in the novel. Then they will create a word cloud, color each character and add 1 quote about each character in the story. Due Monday, April 22, 2019. Next Week is Field Day Spirit Week! a change of clothes in order to participate in water games (extra shirt, pair of pants, and socks). Nurse Hanzlik will not give students a change of clothes if they are wet due to participating in water games. Return to Killian @ 6:30pm. Note: It’s important that children build their home library. Orders can be place with Amazon or check Local library for a copy. I will only have a few copies to offer. Please note: Money will not be accepted the day of the field trip under no circumstances. We will not accept payments made the day of the field study. Project due Monday February 11, 2019 No late projects accepted. Friday January 11, 2019 Field study to Challenger space center. all permission slips and money is due ASAP! SS: My R students will complete pages 138-140 in social studies book. ELA: Study for open book test on Nobel Prize. Read chapter 2 of Tales of the fourth grade Nothing. What did the Puritans learn from the Pilgrims before setting up their colony in Massachusetts? Include several examples. SS. Study for European Exploration & Motivations test on Thursday. Ela: Reading Log: Complete Monday thru Thursday tonight. NOTE: These quizes can be taken as many times until make a passing grade. Study for Native American Test. Reading: reading Log & DLIQ sheets are due tomorrow. SS: Book page 62-67 Answer questions on Native Americans of the Woodlands. Reading: Reading Log & Study for Mystic Horse test tomorrow. SS: book page 50-53. Answer questions on the Native American in the Southwest. Reading: Reading Log complete Monday's reading assignment. SS: Complete pages 54-57 in Social Studies book. S.S: study notes on Landbridge Theory. Comprehension check on tomorrow. Please make sure your child has the book Next week. Read Story: " Mystic Horse" on pages 230-250 and then Complete sequence Chart on the story. Read story: on page 228-229 "History at Your Feet" please sequence the story in order of events that happen in the story. Please check google classroom for questions. Parents, please note: the book can be obtained thru public library (free), Amazon ($5.59) or any book provider. 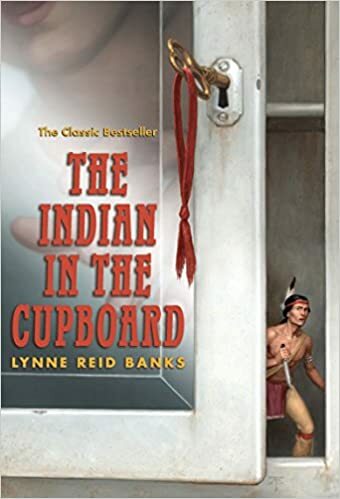 1st Novel Study will begin on Monday, September 24, 2018: "The Indian and the cupboard"
Reading: Newsela article. Read and complete questions. You must tell what paragraphs your answer was located. SS: Regions project is due Wednesday, September 19, 2018. Slide 4: Name at least 5 geographic features in that region. NOTE: Parents this project is in conjunction with a partner and they have chosen what slide they will work on. Homework: Weekly #2 Crossword puzzle, Mapping and charting with questions 1-10. Social Studies: Complete color the states using a red, blue and green coloring pencils. ELA: Read the story "Raising Her Sights" and answer questions. ELA: Complete Limerick Poem. Diamante poem due tomorrow. Social studies test on Thursday. Google classroom complete Lewis and Clark, Daniel Boone and Zebulon Pike fill in. Due Thursday. SS: Complete weekly #20 Crossword puzzle, the benefits of the Lousiana Purchases (Firecrackers only) and, Mapping and charting. Due Thursday. Friday Morning test on Lewis and Clark. Most should have been done already. Due by Thursday. March 7, 2018 Spring picture Day Tomorrow!! SS: Spotlight reading questions 13-18 must be completed by Friday. Complete the following activity in paragraph form. give examples of how your invention would be unique). The three words that would describe __________(your invention) best are (first)______________ (second)_____________ and,(third)________. I chose these words to describe my invention because _________________________(explain how the specific words represent your invention). Complete reading comprehension questions on the Journey of a lifetime". Read Lawn boy next chapter. Continue to work on Project giving it your best effort. No other homework is assigned. We have begun our study on text features. In Celebration of Black History Month, each student will be given an African American to research and incorporate text features in this your child was given an African American that project. On today (Monday, February 19th), he/she must research and create a book using the rubric below. The book must be at least 5 pages. No late projects will be accepted after Monday, February 26th. Each day that the project is late, your child will lose five points. This is an at-home project. Students are not allowed to copy and paste information from the internet. They may use the internet as a source, but it should be written in their own words. Please feel free to contact me if you have any questions. African American History Text feature Project will be given on Monday and must be done at home. Reading: the novel for 30 min. Articles of Confederation quiziz tomorrow. Social Studies: Unit project due Thursday located in Google Classroom. Reading Novel for 30 min. Social Studies weekly #18 due Wednesday, February 14. Crossword, Activity only. Social Studies: The unit project is due Thursday in google classroom. Social Studies units 1-4 and wrap is due tomorrow. Reading Log is due tomorrow. Project: Unit project directions will be in google classroom. Continue to work on Flipbook of the major key battles. Small's class: Read chapters 4 of "Lawn Boy"
Small's class: Novel: Lawn Boy read Chapters 1-3. Social Studies lesson 3 & 4 due by Wednesday answer all questions in the textbook. ELA: Mrs. Small's Class only: Read Chapter 1 of Lawn Boy. Wordly wise lesson 5 must be done by midnight. Complete key battle cartoon of the revolutionary war. Cartoon of any key battle of the Revolutionary War. Small's class only: Study for Samuel's choice test. Smalls class: Samuel's Choice vocabulary test. Only. Key Battles Project due tomorrow. See google classroom for complete instructions and Rubric. Weekly #15. please complete the following sections: Crossword puzzle, Think and Review questions 1-9, Yankee Doodle Song add 2 lines, On the Inside: Thrill Victory and Defeat. Key Battle Project due on Wednesday, January 24th. Work on as you see fit but remember it is due on Wednesday. Please use notes, rubric, and social studies book pages 164-183. Complete Wordly Wise Lesson 2 test. Homework: Complete social studies worksheet on the causes of the American Revolution. Hour of code for 2 hours, current event use any NewsEla article and Complete Read works article and quiz, and study for triangular trade Re-test on January 4. Parents, please consider purchasing this book by or before January 3, 2018. When we return we will begin our study on the Revolutionary War. This story, based on actual incidents and battles in the Revolutionary War, brings readers right into the action — a 14-year-old slave named Samuel faces a difficult choice when only he can help the colonists during the Battle of Long Island, the first battle of the Revolutionary War. Samuel's courage is rewarded with the most precious gift he could receive. This book complements our next unit. Opportunity to retake test on Triangular Trade is Monday. 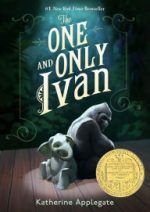 Homework: Continue to read the one and only Ivan to page 150. Social studies extra credit due Wednesday instead of today. Firecrackers: Complete the read works article along with TWIST. Small's Class: Complete Slavery in the United States Webquest. Reading: The one and only Ivan read pages 120-135. Social studies: Quiz on the 13 Colonies: The french, the Dutch, the Spanish, and the English. Introducing: The one and only Ivan. Start working on review packet for Unit assessment in SS. Parents please read itinerary for field study. Students must be on time for drop off in the morning. All buses will leave at 6:30 am. All final payments for Myrtle Beach field trip is now past due. Please turn in all monies as soon as possible. All permission slips need to be signed and returned. Due Thursday for Smalls class. Read chapters 6-10 of the Indian and the cupboard. Extra resources for Weather Project Booklet. Science extra credit: tracking the weather till October 20th. Social studies pages 61-69 read and complete questions and charts and graphs. Social Studies weekly complete sections: crossword puzzle, The activity, and the let's write sections. Read & complete pages 50-67 in social studies book. Re-Read Mystic Horse and study for test. Main Idea: Read paragraph and write the main idea. Reading log: complete both sides. Math quiz moved to Tuesday due to Map testing. Please make sure they get a good night sleep. Please NO! disciplinary actions before testing in the morning. Reading: Reading Log, Read the story "The Indian in the cupboard" chapters 2,&3. Then draw a image of what you read and write the page number. Get a good night sleep. Please NO! disciplinary actions before testing in the morning. Reading: Mystic Horse Comprehension questions 1-5 page 251, Both sides of worksheet: Sequence the story, create your own story and sequence it. Reading Log. Social studies: Due on Wednesday, September 14th. Weekly #2 complete crossword puzzle, Mapping and charting, and think and review. Social studies: Weekly #1 complete crossword puzzle & Mapping and Charting. Reading: Chapter 9 & 10 of Tales of a 4th grade Nothing. Science book: Pages 44-45 & 46 & 47. Science Weekly crossword puzzle. Social studies: Cut and paste continents and oceans.